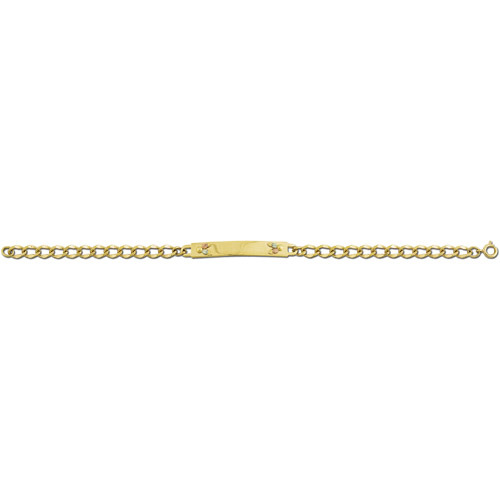 Desc: Landstrom's Black Hills Gold I D bracelet for women. The rectangular plaque is mounted at the apex with rose and green gold leaves at each end. The chain is yellow gold cable link and has a spring ring clasp.